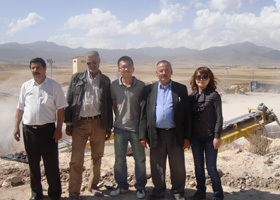 From 7th to 11th, Nov, 2010,Shanghai Zenith hoopla attended the exhibition in Algeria named,The Eighth International Faire Of Public Construction. During the exhibition our company received many visitors from all over the world. 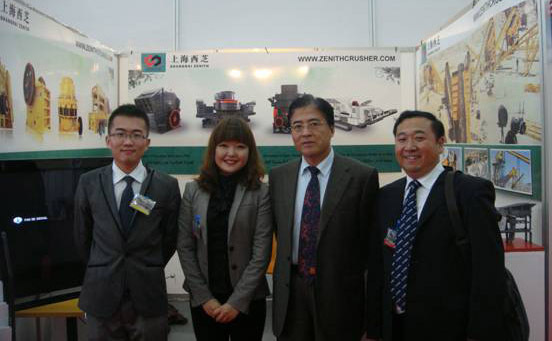 Every client who visits our booth showed their admiration for Zenith’s profession in the Mining & Construction Machinery field , and the satisfaction about our enthusiasm service. 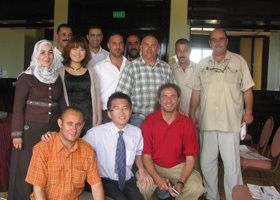 On 14th, we were honored to receive the counsellor,Liu Yuhe, from counselor’s office of the Chinese embassy in Algeria. Counsellor gave high evaluation about Zenith’s product quality and overseas brand of reputation ,and also gave us some constructive suggestions about running internationally renowned brands. Mr Liu took the pictures with our sale managers Ms.Nancy and sale engineer Mr.David as a memory. 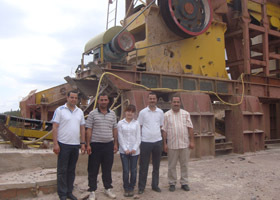 After the Exhibition, Ms.Nancy and Mr. David visited several working sites of our clients in Algeria. We were warmly welcomed by our warm-hearted friends. We also organize some meeting for our Registered and New Customers. All the friends show their thanks for the meeting. We pursue the Zenith of technology and quality. We pursue the Zenith of the service for you. We also pursue the Zenith of our friendship! Welcome to Zenith!